A traveler’s job is never complete. It is always a matter of where to next, what part of the world will I touch with my own two feet now. The idea of travelling to Antarctica always seemed like a faraway dream that would be left unfulfilled. After using Google to look at the different prices for Antarctic cruises I cringed a bit, then decided to email a few companies. The exchanges went back and forth with different companies when Chimu Adventures’ representative offered to call and chat about the trip. This was the first of the travel companies that had suggested doing this. Susan, the North American rep for Chimu, called me on a Tuesday evening while I was driving home from a boring day at work. Listening to Susan rave about this trip, explaining how she had been to the continent multiple times, would go back whenever she could, and went on and on with the kind of excitement that you only hear in children at Disney World, she had me sold by the time I hung up the phone. Over the next few months, I received communication from Chimu with specific instructions, guides, and itineraries to help me prepare for this trip of a lifetime. Susan from Chimu answered all of our questions with details and her own personal experiences to help me plan for the trip. The months drug on as I anticipated the arrival of the cruise in November, feeling like the kid that was waiting to go to Disney World. Until one day, it was here. Spending some time on the amazing continent of South America either before or after your trip to Antarctica is a must. Chimu can help you with travel plans around your cruise. After a few days bouncing around the amazing, cultural phenomenon of Buenos Aires, I hopped on a plane down to Ushuaia. The most southern city in the world lies at the bottom of Argentina where I was met by Greg Carter himself from Chimu Adventures. The buzz started as more people from our group piled on the buses that were waiting for us. Greg welcomed us to Ushuaia and Chimu Adventures, ensuring us that we truly were in for the trip of a lifetime. Everything was well organized and thought out from the hotels to meetings to pub greetings at the Dubliner. Disembarkation was the next afternoon and I could hardly wait. What came over the next 11 days could not possibly be described in words. The landscapes and wildlife that I saw on the continent of Antarctica were so distinct and unique that I can admit that I did not know there was a place that looked like that on Earth. The expertise of the expedition crew, the politeness and hard- working efforts of the crew aboard the Sea Adventurer, the unending food, and Greg as our host blew my expectations away. Here I was thinking that I was going to Antarctica and “roughing it” on some small ship, only to find out that I was treated like pure royalty for the entire trip. 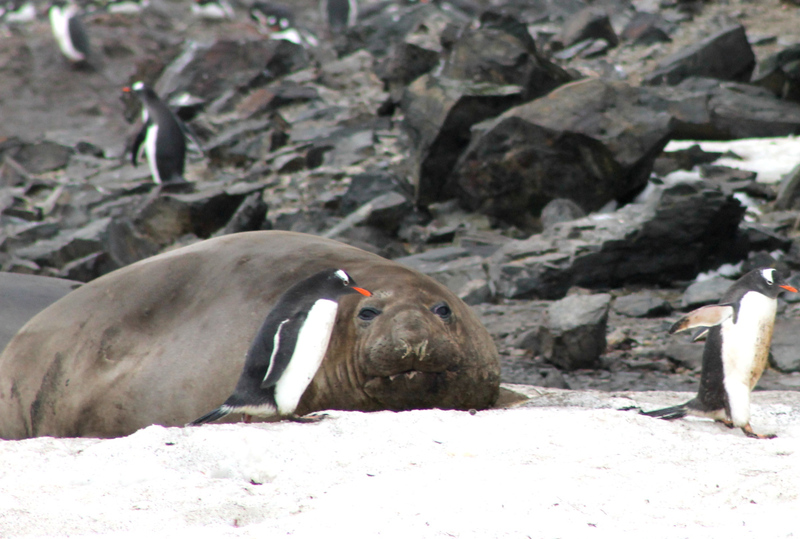 From my first spotting of a Weddell Seal only steps away, to thousands of penguins carrying on daily activities, to landscapes that make your computer screen savers look dull, to seeing three humpback whale breaches while on a zodiac cruise, I was brought to tears on the last day of landings. This magical place found its way into my heart, the cold sinks into your veins; you want more, need more. I don’t tell my friends and family they should go to Antarctica, I say they must. Don’t wait for next year or five years from now, go now. This isn’t the trip of a lifetime, these memories could last me several lifetimes and beyond. 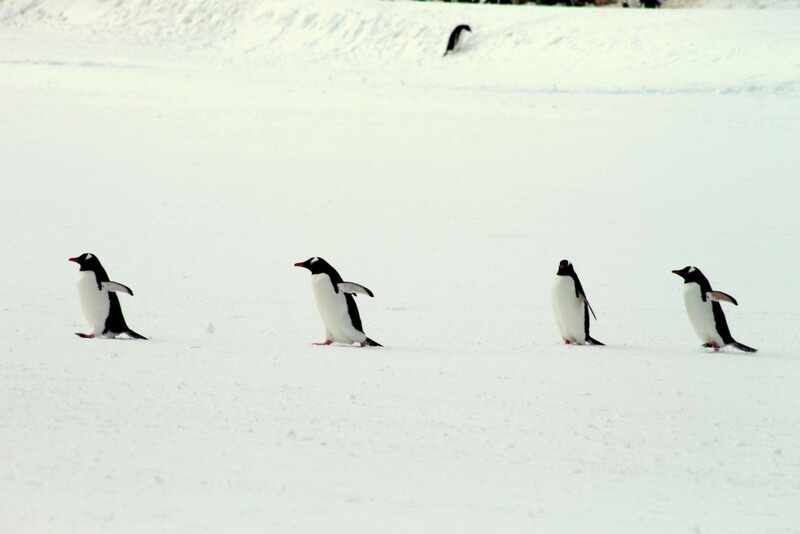 Antarctica is more than a place, it is an experience beyond one’s wildest dreams. I will hold onto my pictures and memories until the day comes when I find myself visiting the white continent once again. Written by Danielle Diehl, a primary school teacher in the United States. She travels every chance she gets and wants to spend her life seeing as much of the world as possible. She enjoys writing about her adventures for friends and family to share in the experiences. Stop by on her blog and say hi!